So, your hair is driving you crazy? You have to come up with SOMETHING to make you feel good, make you feel “put together”? 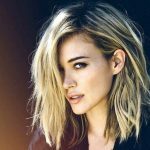 With your struggle in mind, we pulled together our Top 3 Most Popular Hairstyle Posts right here. It’s because we like you and don’t want to see you wasting your time searching for no reason.